Just ahead of the 2019 edition of SIHH, Jaeger-LeCoultre drops a preview of a plush new version of the beloved Master Ultra Thin Moon model. 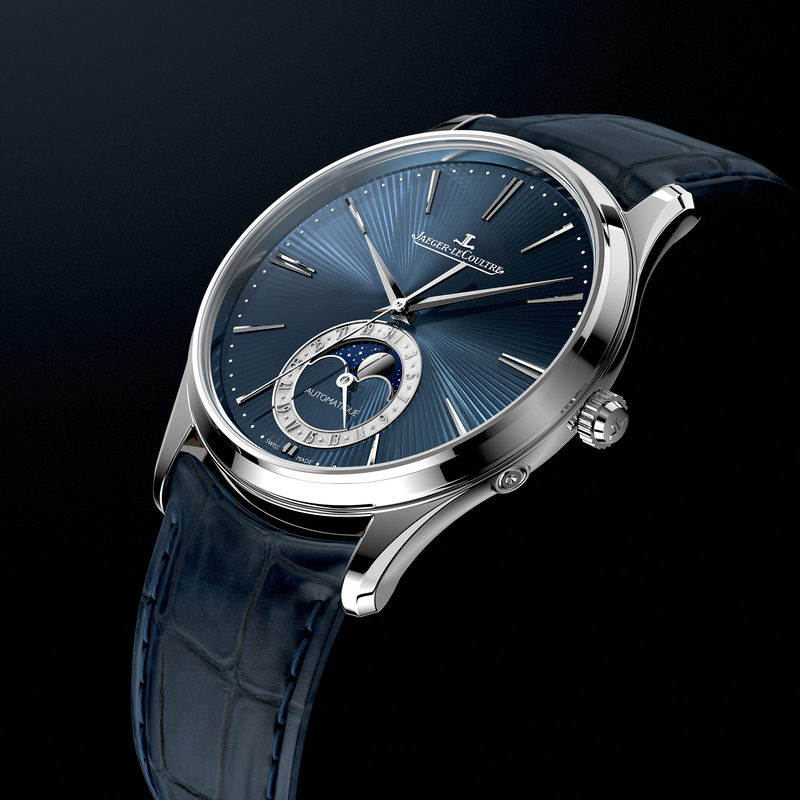 Meet the new Jaeger-LeCoultre Master Ultra Thin Moon Enamel. 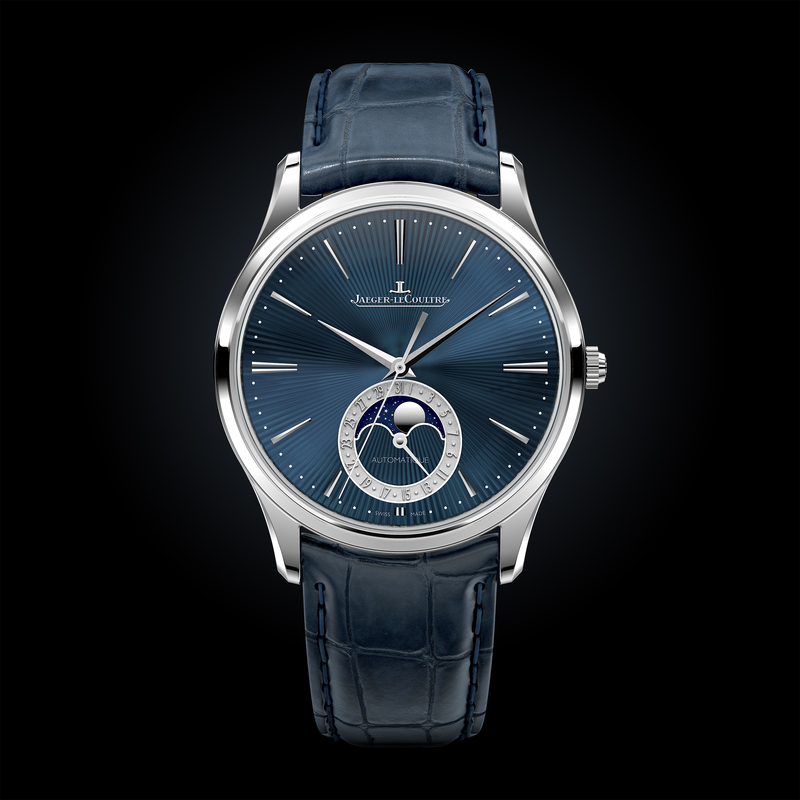 The Jaeger-LeCoultre Master Ultra Thin Moon Enamel (Image Credit: Jaeger-LeCoultre). Limited to only 100 pieces, the new Master Ultra Thin Moon Enamel (Q13635E1) pairs Jaeger-LeCoultre’s famous super slim case with an intricately crafted dial. Jaeger-LeCoultre has an in-house department specialized in Métiers Rares or Rare Handicrafts, preserving long-standing artistic traditions such as gem-setting, engraving, guilloché, and enameling. The Master Ultra Thin Moon Enamel shows off some of these techniques superbly with a hand-guilloché midnight blue enamel dial. To successfully combine the crafts of enameling and engraving takes an incredible amount of skill and patience. It starts with decorating the dial with a hand-operated rose engine, followed by a painted layer of liquid enamel, then a trip to the kiln where the surface is subjected to excruciatingly high temperatures. More layers of enamel are painted on and fired up and once the right shade is attained, the dial gets polished to perfection. The new Jaeger-LeCoultre Master Ultra Thin Moon Enamel has a hand-guilloché enamel dial (Image Credit: Jaeger-LeCoultre). Further enhancing the workmanship that went into creating the face of the watch is the moonphase display Complete with a mirror-polished moon, the relief-engraved, date-display ring has raised numerals with a frosted finish, and pairs nicely with the re-designed applied white gold stick hour markers. The re-designed hour markers are now longer and split in two at 12, 3, 6 and 9 o’clock (Image Credit: Jaeger-LeCoultre). 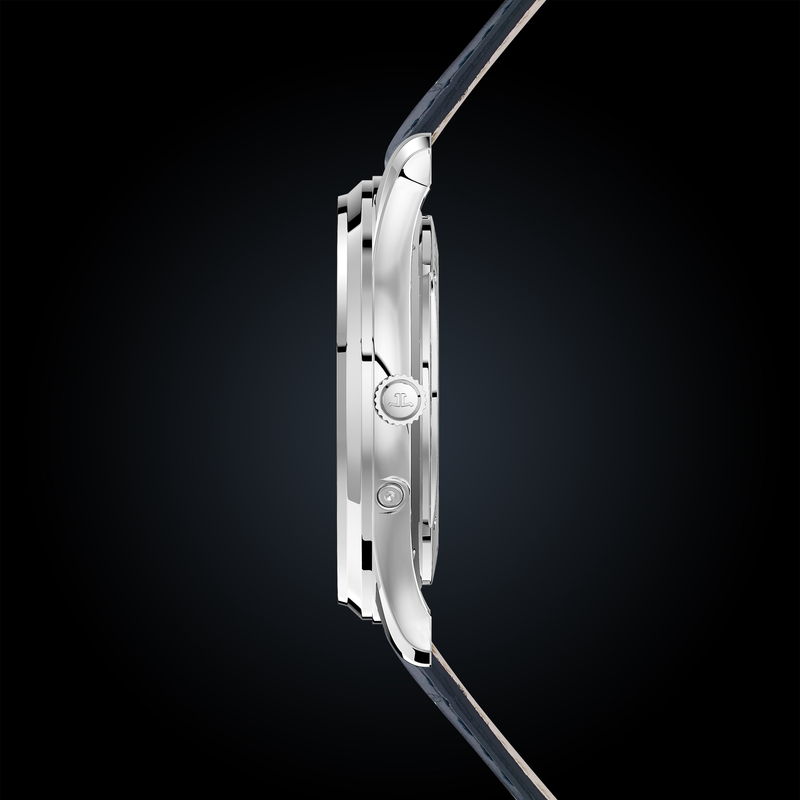 Housing the dial is the familiar Jaeger-LeCoultre Master Ultra Thin case in 18k white gold. Measuring a mere 10.04 mm thick and 39 mm in diameter, it is clear that Jaeger-LeCoultre is well versed in the art of designing an elegant dress watch. 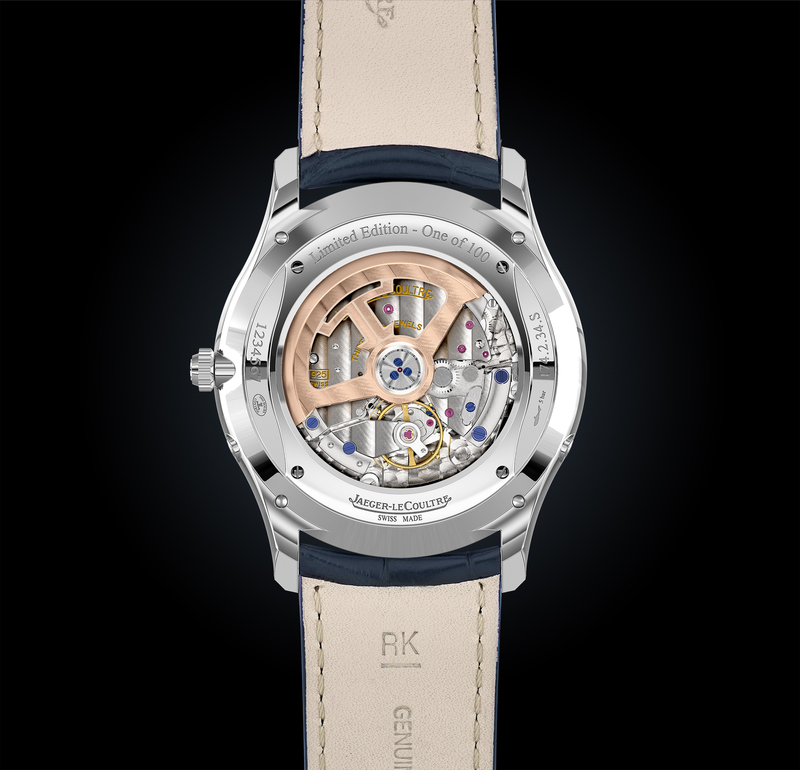 Completing the look of the timepiece is a matching blue alligator strap. 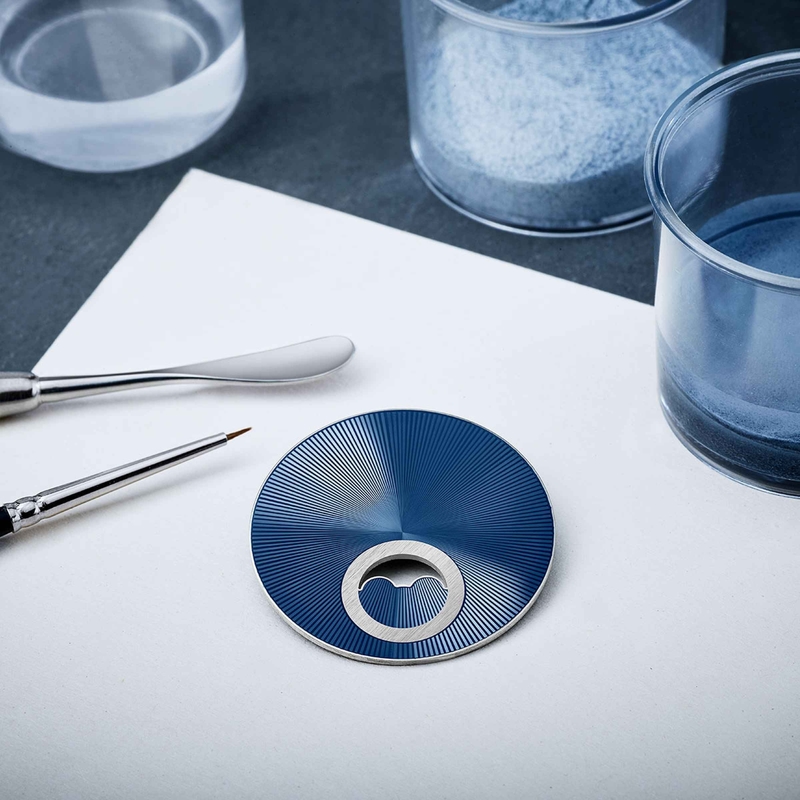 Production of the Jaeger-LeCoultre Master Ultra Thin Moon Enamel will be limited to just 100 pieces worldwide (Image Credit: Jaeger-LeCoultre). Jaeger-LeCoultre prides itself on not only creating in-house calibers for their own watches but also supplying some of the world’s most renowned watch brands with movements and ébauches. Flip the Master Ultra Thin Moon Enamel around and you will be met with a view of the in-house Jaeger-LeCoultre Caliber 925/2 automatic movement through the sapphire window on the caseback. Unlike previous Caliber 925 movements, this upgraded version boosts the power reserve from 38 hours to 70 hours. Powering the new Master Ultra Thin Moon Enamel is the Jaeger-LeCoultre Caliber 925/2 (Image Credit: Jaeger-LeCoultre). An exceedingly luxurious interpretation of their famed ultra-thin timepieces, the new Jaeger-LeCoultre Master Ultra Thin Moon Enamel reminds us why La Grande Maison deserves its spot in the upper echelons of watchmaking.